As a Chef/ Foodservice Operations Consultant with over 12 Years experience in the Foodservice/ Culinary Industry, I have had the opportunity to create concepts for clients and travel to different parts of the world to create menus and write recipes. I have always been inspired by international flavors. I originally hail from the beautiful twin island republic of Trinidad and Tobago and my multicultural background has afforded me the opportunity to craft a unique perspective on food which I aim to share with the world. My Mom Roslyn and my Dad,Lennox both appreciate food in both its simpliest and more complex forms. As a result of this, every meal in my household was an amazing experience. Attending The Art Institute Of Atlanta allowed me to hone these skills with some of the best mentors in the South East. 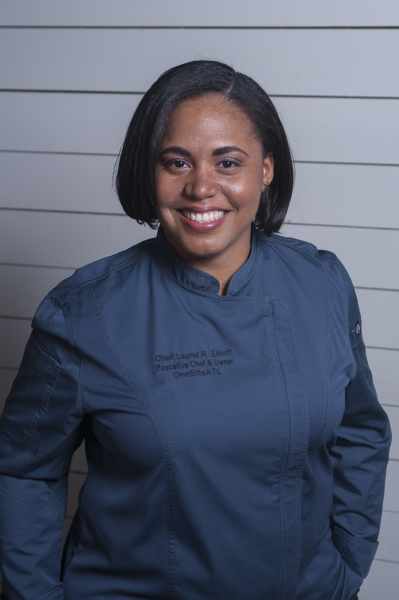 OneBiteATL was featured at the Creative Loafing Best Of Atlanta event in September 2016 as part of the Award Winning Culinary Incubator, The Global Grub Collective. I also had the honor of being a Featured Chef at the October 2016 Cochon555 Global BBQ Festival in Atlanta and had the opportunity to showcase my bestselling dish, the Hickory Smoked Pork Belly Bao. I am a Culinary Fight Club, March 2017 Pork Tasters Choice Award Winner and the runner up in that event. On Thursday 13th April, 2017 I competed in the CFC Taco Event, and subsequently won the CFC Title and Golden Ticket to The World Food Championships. This event will be held from November 8th to 14th in Orange Beach, Alabama. OneBite SPICES, a project that has been 5 years in the making and is near and dear to my heart will be launched 11/11/2017. Our signature item will be our master blend that I have perfected after 12 years in the Culinary Industry. This the the baseline flavor profile for everything created by OneBite ATL. Soon you too can cook like a flavor inspired chef. My goal is to continuously focus on fresh, one-of-a-kind dishes with interntional flare and multidimensional flavor profiles. My Culinary journey continues and I hope that you can join me on my latest excursion at OneBite ATL to experience the true meaning of the words "International Flavor".